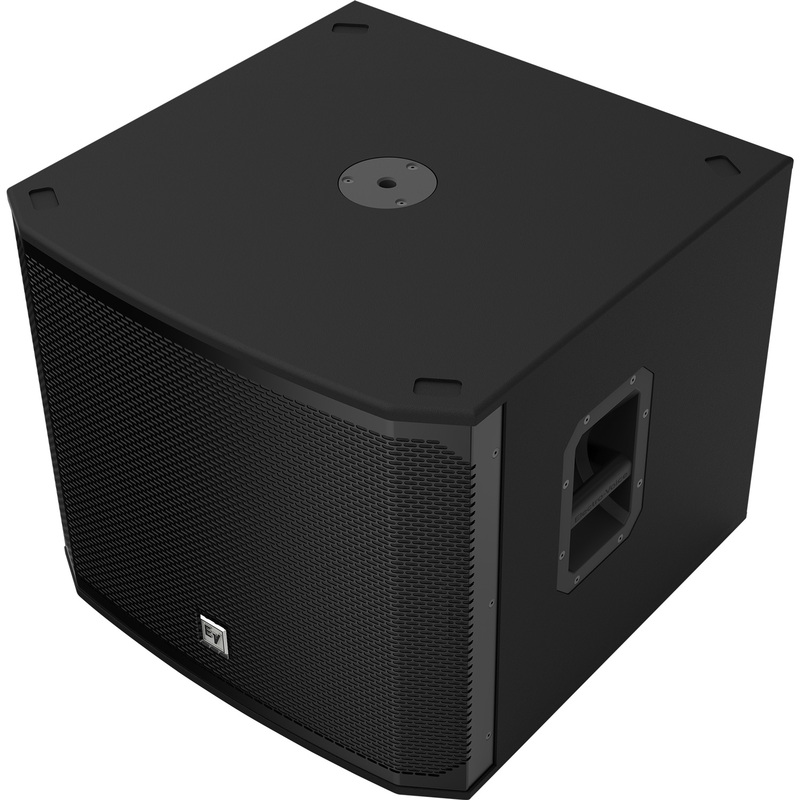 The EKX-18SP is powered by a highly efficient Class-D 1300W amplifier. That's a ton of available power for a single loudspeaker! 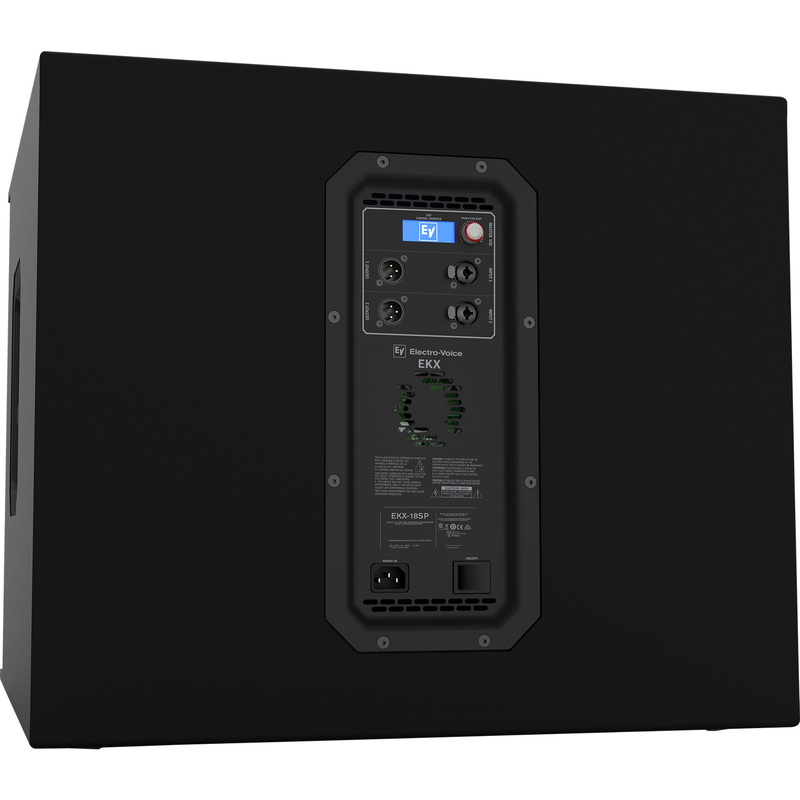 The EKX-18SP's amplifier coupled with EV's superior driver design provides up to 134 dB of maximum SPL. The EKX-18SP's intelligent thermal management system includes a variable-speed fan that is controlled by multiple onboard sensors that are constantly monitoring internal temperature. The EKX-18SP is designed for ease of use and features the input capabilities you need for quick setup. For professional equipment, both of the 2 inputs feature XLR & 1/4" combination jacks that can accept line level signals. Each input features a parallel output connection via XLR jack for routing signals to the main speakers.